The Easyrig 3 850N with Cinema Flex Vest & Standard Arm is a body-worn support system specially designed for female camera operators. It can support loads from 42 to 55 lb. 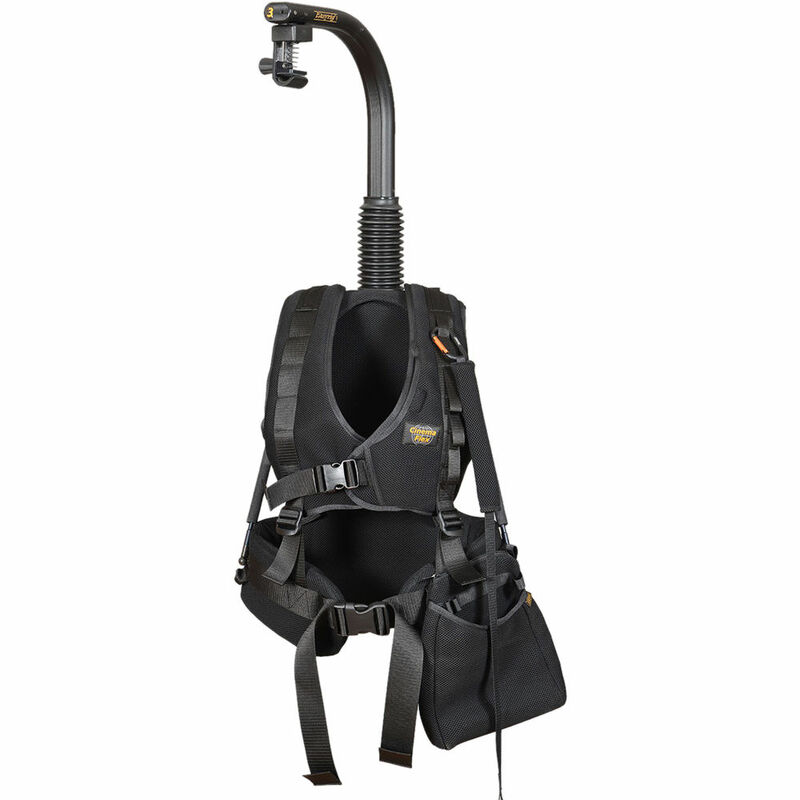 The system consists of the Easyrig 3 support bar with a 850 N gas shock absorber, the standard Cinema Flex double shoulder vest, and a standard support arm. A carrying bag is also included for convenient storage and transport of the Easyrig system. The Cinema Flex Vest is designed to be more comfortable and fit better on female camera operators. It offers an adjustable waist from 27.5 to 55" with an adjustable vest length from the shoulders to the hips for a snug fit. The upper part can be adjusted with loop fasteners over the shoulder, while a 40mm band under the arm can be adjusted for a comfortable fit.